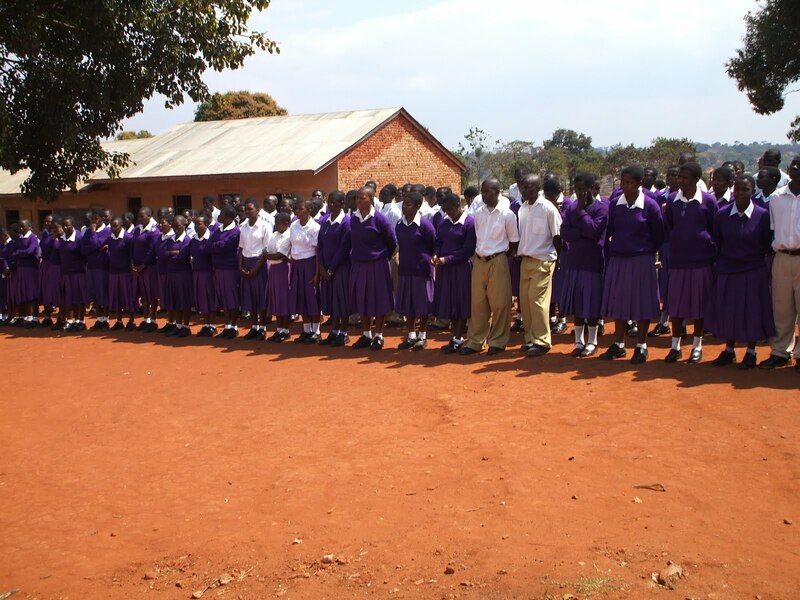 The First High School Students at St. Benedicts Secondary School Do well in their National Examinations. In February 2011 three first graduating students of High School at St. Benedict Secondary School sat for their advanced level secondary school national examinations. The results came out good! For the three graduating students, out of Four divisions scale of the Examination Council of Tanzania, Mary Mwanyika earned Dvision Two, whilte Clementina Nziku and Alpha Komba both earned Division Three. This is a good news to the students themselves, teachers and other students at St. Benedict. Congratulations to our pioneer students! We also congratulate the administration and teachers, and those who helped the three students in their studies. We wish even better performance in national examinations to the following classes and may St. Benedict continue to flourish. 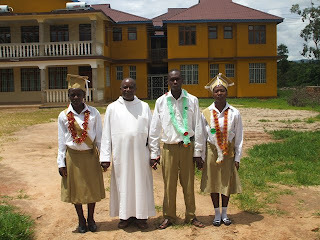 In the photo from left, Clementina Nziku, Frater Odo Nanyanje, OSB, (Prior at Hanga Abbey), Alpha Komba and Mary Mwanyika.